In modern economies, land and manufacturing continue to be significant sources of wealth of nations. However, the developed world, with icons like Bill Gates, Steve Jobs, Sergey Brin and Larry Page, is in the midst of a major transformation to accumulation of wealth in the form of intellectual property. In this evolving new economy, there is much greater emphasis on intangible knowledge assets than on physical or tangible assets. The value of the intellectual assets determines the clout and competitiveness of the nations. Wealth generation through creation, production, distribution and consumption of knowledge and knowledge based products are the key characteristics of knowledge economy. The major growth industries such as computer software, micro-electronics, nanotechnology, renewable energy, pharmaceuticals, biotechnology and telecommunications industries derive their strength from the power of the human intellect. These knowledge based industries stimulate other industries in turn to become knowledge based. Until recently capital was a scarce commodity. With rapid globalization and better access to international finance, capital is much less scarce. It is the intellectual assets that are knowledge based, non-replicable, unique and proprietary which are increasingly becoming scarce. Recognizing the importance of such assets, the western nations led by the United States are aggressively pushing for creation and enforcement of laws protecting intellectual property in all parts of the world. While developing an industrial base is still necessary to build a large middle class and support the growth of intellectual capital, it is absolutely not sufficient. Clearly, the emerging economies, including China, India and Pakistan, require significant investments and efforts to develop human capital to catch up with the industrialized world in this new age of knowledge-based economy. They must start with sharper focus on basic human development through higher investments in nutrition, health and education. At the same, it is extremely important for the governments to pay greater attention to improving higher education and basic research. A protocol economy has very different properties than a physical stuff economy. For example, you and I can’t use the same piece of metal at the same time. But you and I can use the same software program at the same time. Physical stuff is subject to the laws of scarcity: you can use up your timber. But it’s hard to use up a good idea. Prices for material goods tend toward equilibrium, depending on supply and demand. Equilibrium doesn’t really apply to the market for new ideas. Over the past decades, many economists have sought to define the differences between the physical goods economy and the modern protocol economy. In 2000, Larry Summers, then the Treasury secretary, gave a speech called “The New Wealth of Nations,” laying out some principles. Leading work has been done by Douglass North of Washington University, Robert Fogel of the University of Chicago, Joel Mokyr of Northwestern and Paul Romer of Stanford. Their research is the subject of an important new book called “From Poverty to Prosperity,” by Arnold Kling and Nick Schulz. Kling and Schulz start off entertainingly by describing a food court. There are protocols everywhere, not only for how to make the food, but how to greet the customers, how to share common equipment like trays and tables, how to settle disputes between the stalls and enforce contracts with the management. The success of an economy depends on its ability to invent and embrace new protocols. Kling and Schulz use North’s phrase “adaptive efficiency,” but they are really talking about how quickly a society can be infected by new ideas. Protocols are intangible, so the traits needed to invent and absorb them are intangible, too. First, a nation has to have a good operating system: laws, regulations and property rights. For example, if you are making steel, it costs a medium amount to make your first piece of steel and then a significant amount for each additional piece. If, on the other hand, you are making a new drug, it costs an incredible amount to invent your first pill. But then it’s nearly free to copy it millions of times. You’re only going to invest the money to make that first pill if you can have a temporary monopoly to sell the copies. So a nation has to find a way to protect intellectual property while still encouraging the flow of ideas. Second, a nation has to have a good economic culture. “From Poverty to Prosperity” includes interviews with major economists, and it is striking how they are moving away from mathematical modeling and toward fields like sociology and anthropology. A protocol economy tends toward inequality because some societies and subcultures have norms, attitudes and customs that increase the velocity of new recipes while other subcultures retard it. Some nations are blessed with self-reliant families, social trust and fairly enforced regulations, while others are cursed by distrust, corruption and fatalistic attitudes about the future. It is very hard to transfer the protocols of one culture onto those of another. It’s exciting to see so many Nobel laureates taking this consilient approach. North, the leader of the field, doesn’t even think his work is economics, just unified social science. But they are still economists, with worldviews that are still excessively individualistic and rationalistic. 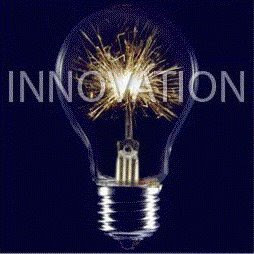 Kling and Schulz do not do a good job of explaining how innovation emerges. They list some banal character traits — charisma, passion — that entrepreneurs supposedly possess. To get a complete view of where the debate is headed, I’d read “From Poverty to Prosperity,” and then I’d read Richard Ogle’s 2007 book, “Smart World,” one of the most underappreciated books of the decade. Ogle applies the theory of networks and the philosophy of the extended mind (you have to read it) to show how real world innovation emerges from social clusters. Economic change is fomenting intellectual change. When the economy was about stuff, economics resembled physics. When it’s about ideas, economics comes to resemble psychology. Is America Losing Its Mojo? BEIJING — Scientists in the United States were not overly surprised in 2008 when the prestigious Howard Hughes Medical Institute in Maryland awarded a $10 million research grant to a Princeton University molecular biologist, Shi Yigong. Dr. Shi’s cell studies had already opened a new line of research into cancer treatment. At Princeton, his laboratory occupied an entire floor and had a $2 million annual budget. China’s leaders do not. Determined to reverse the drain of top talent that accompanied its opening to the outside world over the past three decades, they are using their now ample financial resources — and a dollop of national pride — to entice scientists and scholars home. The West, and the United States in particular, remain more attractive places for many Chinese scholars to study and do research. But the return of Dr. Shi and some other high-profile scientists is a sign that China is succeeding more quickly than many experts expected at narrowing the gap that separates it from technologically advanced nations. China’s spending on research and development has steadily increased for a decade and now amounts to 1.5 percent of gross domestic product. The United States devotes 2.7 percent of its G.D.P. to research and development, but China’s share is far higher than that of most other developing countries. Quantity is not quality, and despite its huge investment, China still struggles in many areas of science and technology. No Chinese-born scientist has ever been awarded a Nobel Prize for research conducted in mainland China, although several have received one for work done in the West. While climbing, China ranked only 10th in the number of patents granted in the United States in 2008. Chinese students continue to leave in droves. Nearly 180,000 left in 2008, almost 25 percent more than in 2007, as more families were able to pay overseas tuition. For every four students who left in the past decade, only one returned, Chinese government statistics show. Those who obtained science or engineering doctorates from American universities were among the least likely to return. Recently, though, China has begun to exert a reverse pull. In the past three years, renowned scientists like Dr. Shi have begun to trickle back. And they are returning with a mission: to shake up China’s scientific culture of cronyism and mediocrity, often cited as its biggest impediment to scientific achievement. They are lured by their patriotism, their desire to serve as catalysts for change and their belief that the Chinese government will back them. He and others like him left the United States with fewer regrets than some Americans might assume. While he was courted by a clutch of top American universities and rose swiftly through Princeton’s academic ranks, Dr. Shi said he believed many Asians confronted a glass ceiling in the United States. New Delhi — Nine foreign universities that had agreed to set up engineering schools in Pakistan — with their own faculties and administrators — have now decided not to do so because they are leery of the worsening security situation and political uncertainty in the country, a daily newspaper in Pakistan reported, citing an unnamed spokesman of President Pervez Musharraf. The foreign universities’ professors and other officials are unwilling to move to Pakistan despite very attractive remunerations offered by the Pakistan government, which plans to spend $4-billion on the nine projects with universities in Austria, China, France, Germany, Italy, Japan, Sweden, and South Korea. The foreign universities may also have changed their minds, another newspaper said, because they are finding it difficult to arrange for the many professors needed to staff the new institutions, some of which Pakistan has already begun to build. In March Pakistan’s Higher Education Commission refuted rumors that plans to open the universities had been deferred or canceled, and said that they would start classes this year, as scheduled. “Foreign faculty has also concerns regarding the security situation in the country, but we are constantly in contact with them, they did not refuse to land in the country, and the project is on the track,” Sohail Naqvi, the commission’s executive director, was quoted as saying. In 2002 Pakistan began an ambitious program to reform its higher-education system by setting up the commission, which has since created programs to enroll more students in Ph.D. programs in Pakistan and abroad, to hire foreign faculty members, to establish new universities throughout the country, and to collaborate with foreign partners to open engineering schools. The reforms have been controversial. DHARWAD: India may not compete with other countries in the field of science and technology (S&T) if our scientists fail to make serious efforts to improve the track record in the field of scientific research and development (R&D), said VTU vice-chancellor H Maheshappa. Inaugurating a six-day workshop on `Graph algorithms' jointly organized by the department of Computer Science, Karnatak University, and VTU here recently, he said India's track record in the field of scientific R&D has remained insignificant when compared with countries like China. This trend has to be changed if we really wish to emerge as successful competitors and carve a niche for India in the field of S&T, he said. Pointing out the progress achieved by China in this regard, he said China is far ahead of India in the field of scientific R&D. "While the researchers from China file hundreds of patent applications everyday, India stands not even nearer to China in this respect. He said India has potential, including talented pool of teachers and researchers, state-of-the-art research institutes and financial investment by the government for the promotion of scientific R&D. Expressing concern over the lack of teachers with research background in technical educational institutes, he said though the state has nearly 200 engineering colleges, the number of teachers with research degrees is minimal. "This scenario has to be changed. VTU has plans to tie up with universities like Karnatak University to assist engineering college teachers on understanding of basic science and research methodology," he added. China could overtake the United States as the world's dominant publisher of scientific research by 2013, according to an analysis of global trends in science by the Royal Society. The report highlighted the increasing challenge to the traditional superpowers of science from the world's emerging economies and also identified emerging talent in countries not traditionally associated with a strong science base, including Iran, Tunisia and Turkey. The Royal Society said that China was now second only to the US in terms of its share of the world's scientific research papers written in English. The UK has been pushed into third place, with Germany, Japan, France and Canada following behind. In the report, published on Monday, the Royal Society said that science around the world was in good health, with increases in funding and personnel in recent years. Between 2002 and 2007, global spending on R&D rose from $790bn to $1,145bn and the number of researchers increased from 5.7 million to 7.1 million. "Global spend has gone up just under 45%, more or less in line with GDP," said Llewllyn Smith. "In the developing world, it's gone up over 100%." Over the same period, he added, the number of scientific publications went up by around 25%. Projecting beyond 2011, the Royal Society said that the landscape would change "dramatically". "China has already overtaken the UK as the second leading producer of research publications, but some time before 2020 it is expected to surpass the US." It said this could happen as soon as 2013. China's rise is the most impressive, but Brazil, India and South Korea are following fast behind and are set to surpass the output of France and Japan by the start of the next decade. The overall spread of scientific subjects under investigation has remained the same. "We had expected to see a shift to bio from engineering and physics [but] overall, the balance has remained remarkably stable," said Llewellyn Smith. "In China, [the rise] seems to be in engineering subjects whereas, in Brazil, they're getting into bio and agriculture." As it grows its research base, Llewellyn Smith said that China could end up leading the world in subjects such as nanotechnology. "The fact is they've poured money into nanotechnology and that's an area where they are recruiting people back from around the world with very attractive laboratories – that's my feeling." In addition, there are new entrants to the scientific community. "Tunisia in 1999 had zero science budget – now it puts 0.7% of GDP into science," said Llewllyn Smith. "This isn't huge but it's symbolic of the fact that all countries are getting into science. Turkey is another example. Iran has the fastest-growing number of publications in the world, they're really serious about building up science." Turkey's R&D spend increased almost six-fold between 1995 and 2007, said the Royal Society, and the number of scientists in the country has jumped by 43%. Four times as many papers with Turkish authors were published in 2008 as in 1996. In Iran, the number of research papers rose from 736 in 1996 to 13,238 in 2008. Its government is committed to increasing R&D to 4% of GDP by 2030. In 2006, the country spent just 0.59% of its GDP on science. It’s hit an all-time low. Pakistan’s commitment to the higher education sector has been scaled back by 10 percent at the same time that India has raised its higher-education budget by 25 percent. This reduction is in addition to the 40 percent cut imposed last year. This shortsightedness imperils economic growth by stunting prospects of a viable middle class. India has a population six times the size of Pakistan’s. Its GDP, at $1.8 trillion, is 10 times larger than ours. Its growth rate is 8.5 percent, ours is 2.4 percent. Its value-added exports, at $250 billion, are more than ours by a factor of 15; and its FDI, at $26 billion per year, dwarfs ours by a factor of 22. India is set to surpass Japan to become the world’s third largest economy by 2014. This has all been made possible, in no small measure, because of India’s human capital. Pakistan needs to take a leaf out of their book to realize the possible. The World Bank identifies several key factors to achieve and sustain economic growth: education, a skilled workforce, information and communication technologies, and innovation. These are the veritable pillars of a knowledge economy. Likewise, the World Economic Forum’s Global Competitiveness Report 2010-2011 lists higher education and training, technology readiness, and innovation as essential for competitiveness. Catching up to the rest of the world must start now. And there is much ground to cover. For Pakistanis between the ages of 17 and 23, access to higher education is at 5.1 percent—one of the lowest in the world. (India is at 12.2 percent and aiming for 30 percent by 2020.) Pakistan has 132 universities for a population of 180 million and a student population of about 1.1 million. India has 504 universities with an enrollment of over 15 million (its enrolment target is 40 million by 2020). Pakistan has approved funding for two new universities. Over the next five years, India will have established 29 universities and 40 other institutes. Pakistan can today produce about 700 Ph.D.s every year (up from a dismal 200 in 2002) while India can produce 8,900 and China some 50,000. India has 602 university level institutions and Pakistan has 127. A burgeoning genetics research collaboration between China and Pakistan has yielded its first result: the mapping of the genome of a Pakistani national. The Beijing Genomics Institute (BGI) and the International Centre for Chemical and Biological Sciences (ICCBS), Karachi, had agreed last year to work together on seven genomic projects, train Pakistani scientists, set up a genomics centre in Pakistan, and transfer state-of-the-art technology to Pakistan. The first project involved sending genetic samples of the first volunteer, former science minister Atta-ur-Rahman, who is also ICCBS patron, to the BGI for mapping. 'Genome mapping' involves locating and identifying genes to create a map, akin to identifying towns and cities, to create a road map. Genome maps help scientists locate genes for human diseases, by tracking the complete genetic information of individuals and, families over generations. Researchers at the Panjwani Centre for Molecular Medicine and Drug Research (PCMD), under the ICCBS, and BGI mapped Rahman’s genes in 10 months. ICCBS director Mohammad Iqbal Choudhary announced the results to the media last month (27 June). The results are yet to be published in a scientific journal. This makes Pakistan the world's sixth and the first Islamic country to completely map a human genetic sequence, Choudhary said. More projects are underway to gain insights into various population groups in Pakistan; genetic predisposition to disorders, including liver and heart disease; anaemia, diabetes, cancers, Alzheimer's disease and blood disorders, Choudhary told SciDev.Net. It could lead to "significant advances in their diagnosis and treatment" Kamran Azim, assistant professor at the PCMD, said. "It is going to take more than two years to complete the genome projects and come up with the final conclusions about different aspects of the country's different population groups," Choudhary said. BGI scientists are interested in studying the genetic structure and physiology of Pakistan's diverse ethnic groups, particularly those along the Makran coast, Balochistan province, and Kalash Desh in northern Pakistan, Choudhary said. Manzoor Hussain Soomro, chairman of the Pakistan Science Foundation, observed that the development could pave the way for better medical management and new drugs discovery. But, he cautioned, such research could also raise ethical, legal and social concerns over confidentiality and misuse of genetic information by prospective employers, insurers, courts of law and family members. Soomro said that though it is not yet clear who would safeguard the genome mapping data, it should logically be the responsibility of Pakistan's national bioethics committee under the Pakistan Council of Medical Research. Karachi, June 28(ANI): Scientists at the Karachi University have mapped the genome of the first Pakistani man with the help of the Beijing Genomics Institute. This has made Pakistan the first country in the Muslim world to map the genome of the first Muslim man. The achievement places Pakistan in the ranks of the few countries- the United States, the United Kingdom, India, China and Japan- that have successfully sequenced the human genome as well. "Our nation is a mix of a lot of races," said Professor Dr M Iqbal Choudhary, who heads the project. "Pakistanis are like a "melting pot" i.e. a mix of Mughals, Turks, Pashtuns, Afghans, Arabs, etc." "According to the researchers, the newly sequenced Pakistani genome has uncovered a multitude of Pakistan-specific sites, which can now be used in the design of large-scale studies that are better suited for the Pakistani population," The Express Tribune quoted Dr Choudhary, who is the director of the International Centre for Chemical and Biological Sciences at Karachi University, as saying. The first Pakistani genome has been mapped using a recently developed technology, ten years after the first human genome was discovered. Pakistan is a growing market for life sciences and biotechnologies, and a country where they, as well as public health research and related fields, have great potentials for beneficial social, economic and health impacts. Multilateral cooperation of Pakistan with international partners such as European Union (EU) could significantly increase the footprint of this impact. These views were expressed by Professor Maurizio Martellini, Secretary General of the Landau Network-Centro Volta and Professor of Theoretical Physics at the University of Insubria (Como, Italy), at an in-house talk, organised by the South Asian Strategic Stability Institute (SASSI) on the subject titled ‘Conceptualizing a future cooperation with Pakistan in Bio and Health sectors’. Elaborating the prospects of cooperation, Prof. Maurizio took stock of Pakistan’s biotechnology and medical industry and said that research in academia is rapidly developing; publications by Pakistani research teams rose to four-folds in the last decade, and the majority of publications from major universities come from the life sciences. He said that university departments in Pakistan dealing with life science research amount to over 200, with increasing numbers in general and particularly in the biotechnologies and applied science sectors. He was of the view that Pakistan’s biotechnology industry seems also to have been a priority for the government support and in 2010 the country boasted its first biotech plant. Outlining his vision for cooperation, Prof Maurizio said that cooperation projects which are sustainable in both policy and financial terms should increase the S&T exchanges, favour socio-economical impacts of scientific and technological improvements, and implement improved safety and security good practices and standards, all with medium- and long-term strategies and objectives. on Nanoscience and Technology (NCNST). “We place our priority in industry development and support. the Ministry of Science and Technology, emphasized during his presentation. The Pakistani universities are now able to produce more PhDs in the next 3 years as compared to last 10 years. The total number of PhDs in Pakistan has reached the figure of 8,142. According to the data available with ‘The News’, the number of PhDs has increased from 348 (1947 to 2002) to 679 in 2012 in agriculture and veterinary sciences, from 586 to 1,096 in biological sciences, from 14 to 123 in business education, from merely 21 to 262 in engineering and technology and from 709 to 1,071 in physical sciences. In social sciences, the number increased to 887 from 108 during last ten years. The figures also indicate that during the last decade, special emphasis has been paid to the disciplines of agriculture and veterinary sciences, biological sciences, business education, engineering and technology, physical sciences and social sciences. Expressing his view over this development, HEC Executive Director Professor Dr. Sohail H. Naqvi said that the production of these PhDs is the harbinger of a great future. “These researchers, who have worked on problems of crucial importance to Pakistan, will play a leading role in the production of knowledge workers with a potential to take Pakistan in the ranks of developed nations,” he added. The education experts view this development as an achievement in the higher education sector of Pakistan. Dr. Farida Faisal, a fresh PhD holder from Fatima Jinnah Women University, Rawalpindi in Economics, views this development as result of provision of incentives and various indigenous scholarship schemes introduced during last few years in Pakistan. She said that good aspect of this development is that along with quantity, there has been strong emphasis over quality of these PhDs, which will improve with the passage of time, she hoped. She suggested that keeping in view the future needs of Pakistan; there is a need to produce more number of PhDs in the next ten years. Dr. Ashfaq Ahmed, associate professor at the Institute of Business and Management, UET, Lahore, who has recently completed his PhD degree in Management Science with distinction from Foundation University, Islamabad, termed this achievement an outcome of reforms and education-friendly policies introduced by the HEC, which were aimed at promotion and research and academic activities nationwide and across the globe during the last decade. In the first 55 years since Pakistan’s independence, a total of 3,281 PhDs were awarded at Pakistani universities. However, since the establishment of the HEC in 2002, over 4,850 PhDs have been awarded to-date, which is more than what was awarded in the previous 55 years. Universities in Pakistan have rapidly morphed into their new role as producers of knowledge and research that lead to innovation and entrepreneurship, create employment, and be prime builders of a knowledge economy. As per the Education Policy 2008, the HEC targets to increase accessibility to higher education from the current 8 percent to 15 percent by 2020, which translates into an increase in university enrolment from 1m to 2.3m. This is a major challenge tied to the funding situation. However, to achieve the best results effectively, in addition to establishing new campuses, the HEC is focusing on the use of educational technologies and through the recently established directorates of distance education. Faculty development programmes are the mainstay of the HEC. With over 7500 scholars currently pursuing their PhD degrees both within and outside the country, and an additional 2,200 having graduated and placed at universities and other organisations, it is estimated that with the projected growth in universities, at least 16,000 ‘additional’ PhD faculty will be required by 2020. This will raise the percentage of the PhD faculty from the current 22 percent to 40 percent. Simultaneously, the standards for faculty appointment will become stringent. Starting in 2014, all lecturer appointments will require a MPhil/MS degree, and from 2016, all assistant professors and above will require a PhD degree. There has been a significant growth in the number and quality of the PhDs awarded. The number of PhDs awarded per year has increased to over 850 in 2011, with significantly higher standards. It is estimated that over 2400 PhDs will be awarded in 2020, which will give Pakistan the same competitive advantage in research and innovation as is available to China, India, Turkey and Malaysia. The number of research publications out of Pakistan has gone up by 50 percent in the last two years alone. Scimago, an independent database, has projected that Pakistan will have the second-highest growth in the Asiatic region, moving up 16 notches from the current worldwide ranking of 43 to 27. Offices of innovation, research and commercialisation, centres of advanced study and research in energy, food security, and water resource, incubators and technology parks are being established to link research and innovation with industry. This is already beginning to pay off, as today more than six Pakistani universities are ranked among the top 300 universities of the world, while there were none a few years ago. By 2015, we expect at least 10 universities to be in the top 300, with one in the top 100. All HEC reforms are becoming the envy of other countries in the region. While Turkey already has a similar commission, Bangladesh and Sri Lanka are in the process of replicating the HEC model, and India is going a step further and establishing a supra-HEC with far-reaching consequences to position itself as a regional leader. The World Economic Forum Global Competitiveness Report indicators on higher education and training, technology readiness and innovation are showing a consistent improvement over the last three years for Pakistan, much more than many other countries, which is clear proof that higher education reforms are paying off. Pakistan has achieved critical mass and reached a point of take-off. For this phenomenal growth to continue, it is important for the government and other stakeholders to support and further strengthen the HEC as a national institution and protect its autonomy. If this momentum continues for another 10 years, Pakistan is certain to become a global player through a flourishing knowledge economy and a highly literate population. Founded in 1930 by Abraham Flexner, an educational theorist, and siblings Louis Bamberger and Caroline Bamberger Fuld, department-store moguls who provided the initial endowment of $5 million, the institute was meant to counteract a trend in the U.S. toward applied science. Dubbed an "intellectual hotel" by one director, J. Robert Oppenheimer, it was a magnet during World War II for mathematicians and physicists, including Einstein, who were fleeing the Nazis. The early decades of the institute's history, just before and after the war, coincided with a formative period for science in the U.S., when MIT morphed from a technical school into a place for ambitious research and AT&T's Bell Labs invented the transistor. Men like von Neumann, who created game theory, Oppenheimer, the chain-smoking father of the atomic bomb, and Kennan, an architect of U.S. foreign policy toward the Soviet Union during the Cold War, turned the institute into a hub for academics who had a direct line to Washington. When historian George Dyson was growing up there in the 1950s and '60s--his father Freeman Dyson was working on, among other things, a way to propel spacecraft by exploding nuclear bombs beneath them--he recalls, "If you spilled your food at the table, you were going to hit somebody who could go to the telephone and call the President of the United States." Who says nothing original comes out of China? Within two years, my adopted home nation is set to surpass the United States in terms of the number of patents its citizens seek, according to newly released data. Already, two Chinese companies lead the world in seeking to protect their intellectual property. Telecommunications- and networking-equipment maker ZTE (ZTCOY) , based in Shenzhen just across the mainland border from me here in Hong Kong, last year zoomed past its crosstown rival, the telecommunications- and networking-equipment maker Huawei Technologies, as the biggest filer of international patents in the world. Yes, as a nation the United States took top spot for the 39th straight year running, making up 24.3% of the 233,000 patent applications filed in 2016 under the Patent Cooperation Treaty in 2016. Japan was next in line, accounting for 19.4% of the filings, and China came in third with 18.5% of the total. For corporate filers, Qualcomm (QCOM) ranked next after the Shenzhen telecom suppliers, with Mitsubishi Electric (MIELY) and LG Electronics (LPL) after that. As a result, Asia accounts for just under half, 47%, of all patent filings around the world. Digital communications and computer technology are the leading fields for patent protection, with total patent requests for all industries up 7.3% over the previous year. All the figures are coming courtesy the World Intellectual Property Organization. The group just released 2016 stats on patents, trademarks and industrial designs. On a nation-by-nation basis, it's China -- so often a source of counterfeiting and fakes -- that is driving the growth. The Middle Kingdom's filings rose 44% in 2016 and it has posted double-digit growth in patents every year since 2002. It's a dramatic shift for a nation that wasn't invited to trade pacts such as the Trans-Pacific Partnership, as much because it couldn't abide by its intellectual-property protections as any political considerations. "China-based filers are behind much of the growth in international patent and trademark filings, making great strides in internationalizing their businesses as the country continues its journey from 'Made in China' to 'Created in China'," the director general of the World Intellectual Property Organization, Francis Gurry, said in announcing the results. No doubt about it, China has a long history of imitation that verges on forgery. Its artists were encouraged to copy the works of the masters for years before attempting anything so daring as a creation of their own. Confucian society prizes traditional values and deference to elders. And under the Communist Party, it's best to toe the party line rather than get too many upstart ideas about various freedoms. But China is changing at a pace that is unheralded in modern society. After Deng Xiaoping creaked the door to its walled-off economy open in 1979, promising "Socialism with Chinese characteristics," the country hasn't missed a beat. It has leaped from an agricultural economy of peasants right through an industrial revolution that lasted decades, not centuries, and on into a post-industrial world, at least on the east coast. Capitalism with Chinese characteristics is more like it. China is communist in party only, and its leaders would frankly prefer if everyone stuck to the business of making money rather than thinking too closely about who they would like to see in charge. #China to spend $300 billion to boost #hightech industries for self-sufficiency. Western tech firms worried. Made in China 2025, is designed to juice economic development in emerging industries by providing $300 billion in low-cost loans, research funds and other government aid. But big companies in the rest of the world worry that the program gives an unfair advantage to homegrown players, with the stated goal of Chinese companies’ owning as much as 80 percent of specific domestic markets in eight years. China’s minister of industry and information technology, Miao Wei, said the new policy was not meant to wall off the country’s companies from outside competition. Yet he also conceded, without offering specifics, that the plan might need changes. “We never thought about closing ourselves and doing it only at home, but I think we need some adjustments,” he said on the second day of the China Development Forum, a three-day gathering of senior Chinese economic policy makers with corporate leaders and top economists from around the world. The Chinese program plays into the increasing sensitivities over global trade. While President Xi Jinping of China has trumpeted the merits of globalization, his country has also been criticized for protectionist policies that favor Chinese companies. Adding to the frictions, President Trump has espoused an America First strategy, specifically calling out China on trade and currency. Western companies fear that the Made in China policy could be used to justify government demands to hand over their latest technology as the price of staying in the Chinese market. They also worry that government-backed investment funds and other resources could be used to acquire many Western companies with key technologies while subsidizing their Chinese rivals. One of the most contentious parts of the plan is how the country wants to meet Chinese demand with Chinese products. The two main approaches — requiring that a large part of a product’s value be created in China or setting a specific market share for domestic players — are strictly prohibited by the World Trade Organization.